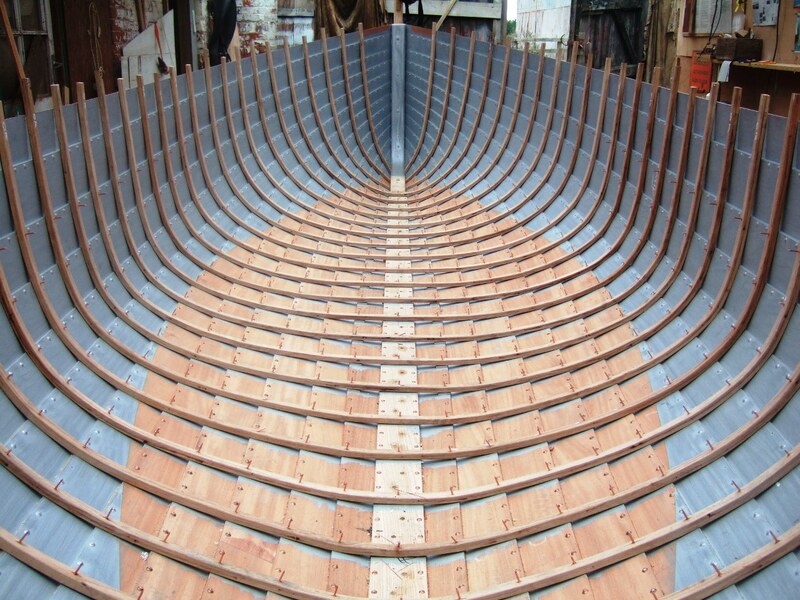 Boat builder Jonathan Palmer has won a first prize in the traditional maritime skills in action section of a photographic competition sponsored by National Historic Ships and Classic Boat magazine. 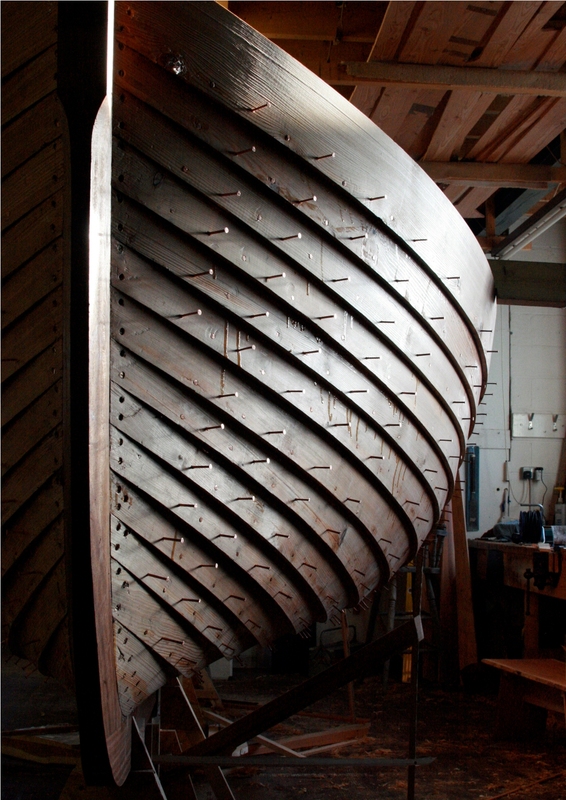 Jon’s winning photograph (above) was taken in May at the Boat Building Academy workshops where he has been a student. 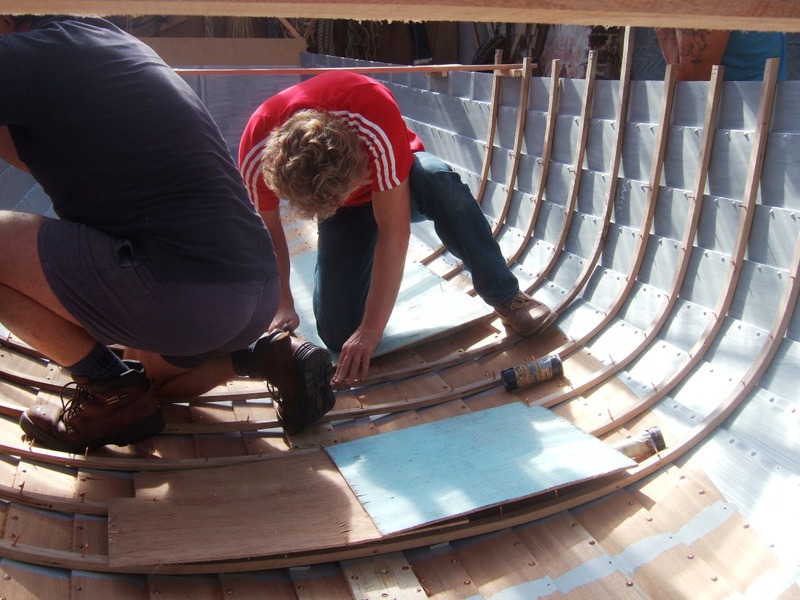 Titled Beer Lugger 2010, the photograph from the building of the new Beer boat Steadfast by students on Jon’s course. 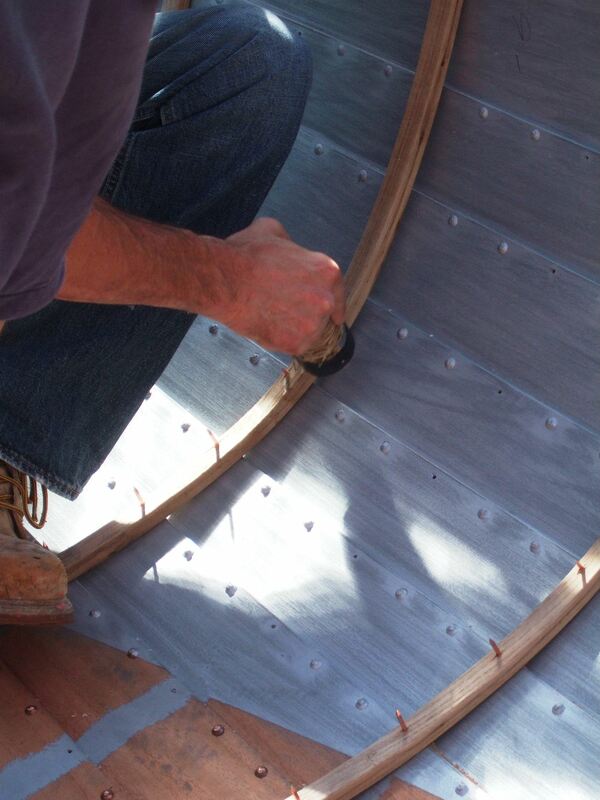 He caught the boat on camera as it was awaiting the frenzied process of hot nailing, in which copper nails are quickly hammered into freshly steamed timber ribs and riveted into place. The prizes were awarded at the National Maritime Museum in Greenwich – after the ceremony Jon apparently enjoyed a game of croquet and a very civilised afternoon tea. 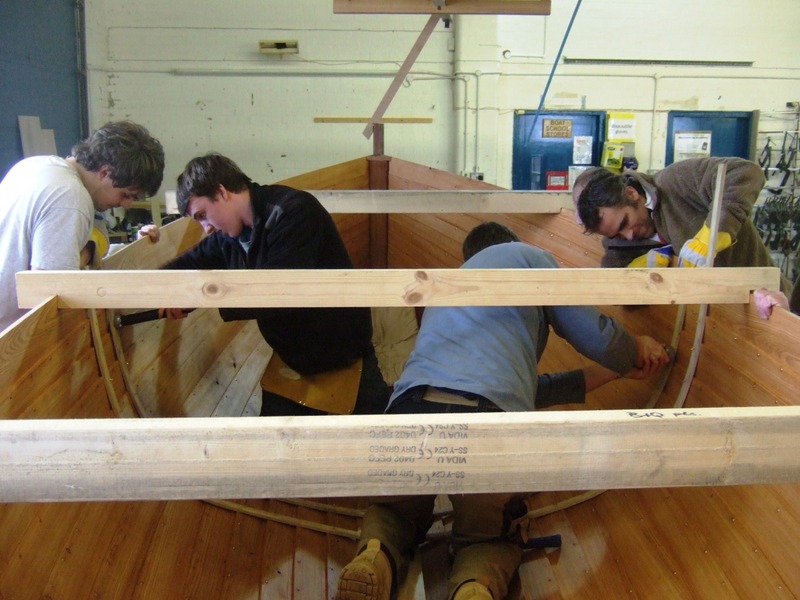 He says he will spend the prize money on tools for LP Boatworks, a company that he and fellow Boat Building Academy graduate Ben Larcombe have set up in Colyton, Devon. 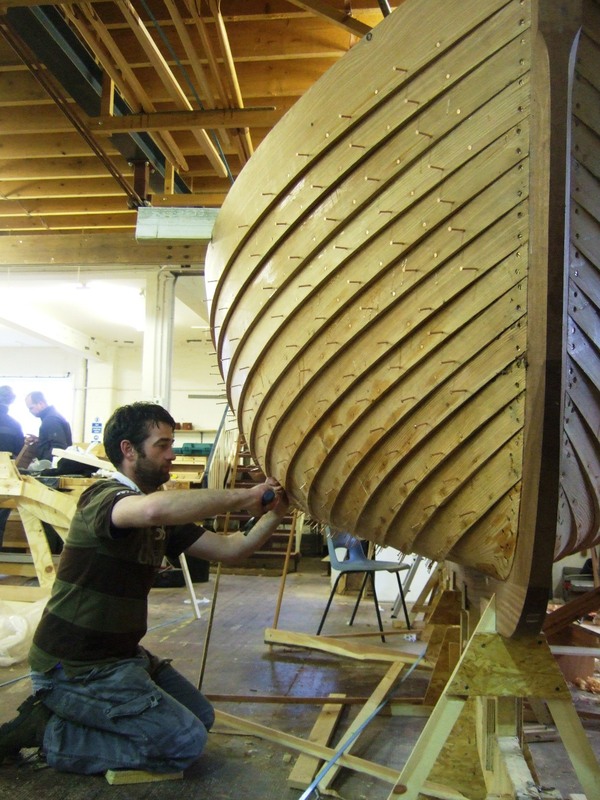 They plan to offer traditional and modern boat building, restoration and repairs. Jon’s photo can also be seen in the November issue of Classic Boat or on the National Historic Ships website. 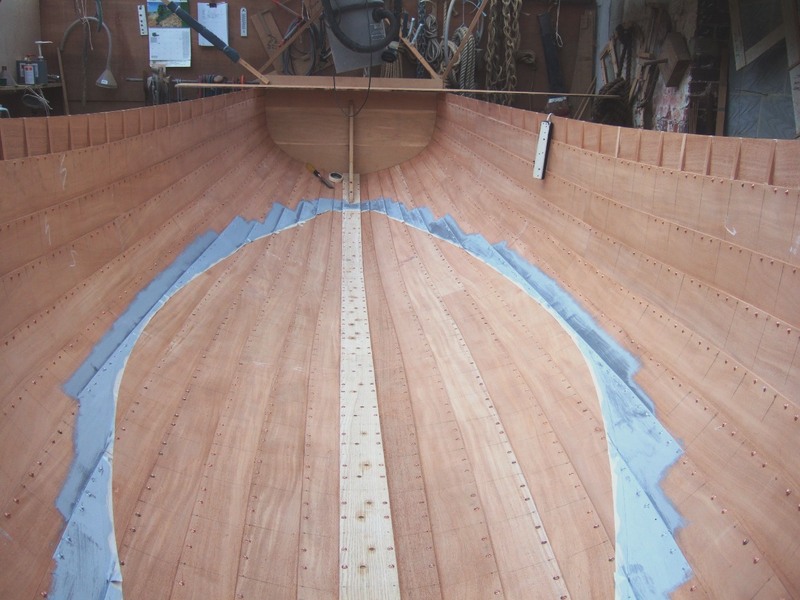 Nick Smith has written in with some more photos of his current project, which he’s given the working title of Bamboo Viper II, because she’s very much like an earlier boat he built by the same name – you can see earlier posts here and here. Here’s what he says about his preparations for putting in the ribs. 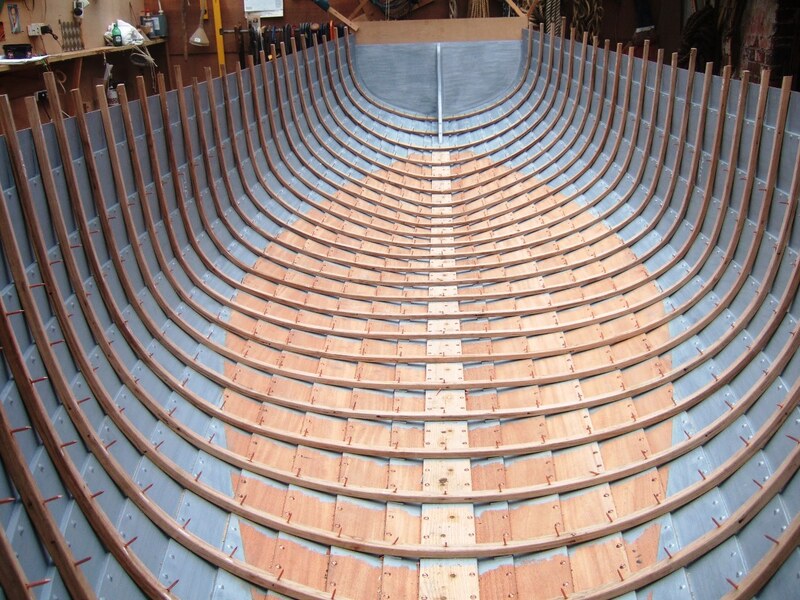 ‘BV II is now planked up, primed inside so the frames have paint behind them and less likely to rot out the contact faces between rib and plank. I have located some good New Forest oak and have machined that up ready at 15/16ths of an inch by 9/16ths. ‘I have had to pick and choose to avoid knots,short grain and sap, and despite that usually allow an extra 25 to 50 per cent extra for breakages anyway. It’s a nuisance to run short then have to machine and steam a second batch or even just an annoying one or two to finish off. ‘The oak is ‘green’ – that is wet almost straight from felling. It steams better having moisture inside, and in the meantime the ribs are wrapped in wet cloth and then polythene on the outside until they are ready to go in the steam box. ‘The cost of the material is around £200! English oak isn’t cheap, and amazingly kiln-dried American white oak is cheaper! ‘It’s getting ever more difficult to get hold of all three key components – seasoned planking timber, good oak and copper fastenings. The price of copper has rocketed in the last two or three years. 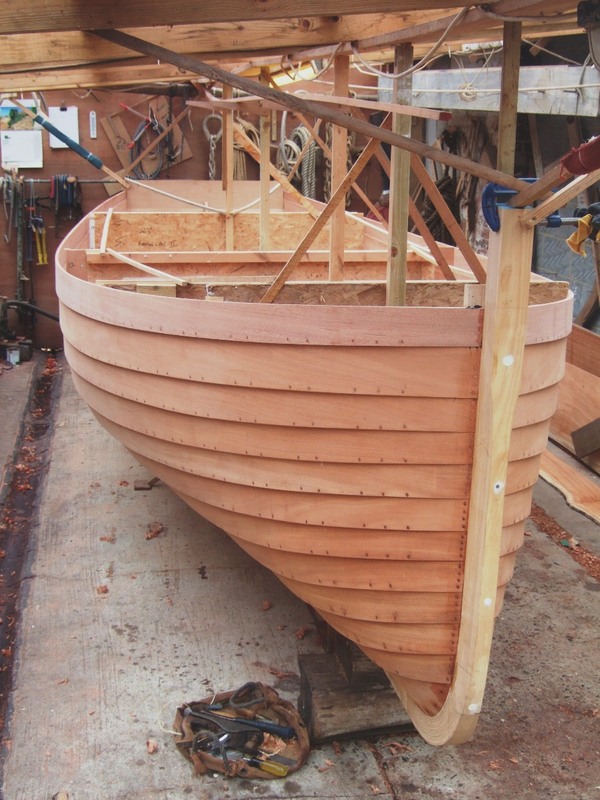 ‘I’ll send some photos of the steaming out process and the planked and framed hull when it’s done – it’ll be a couple of weeks yet. Meanwhile I have jumped ahead a stage or two and machined the gun’ls and risers ready to go in on top of the frames.